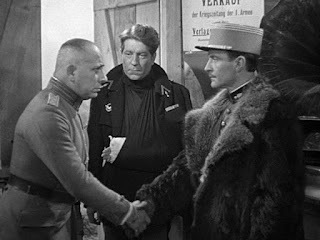 When André Bazin compared Arne Sucksdorff with Luchino Visconti's film La Terra Trema (1948) it was something of an exaggeration (and perhaps Roberto Rossellini would have been a more apt comparison). But it should be said that Sucksdorff was one of Sweden's great filmmakers, and also a filmmaker of some influence on Brazilian cinema and Cinema Novo. Born in 1917, he first made a series of lyrical and suggestive short films shot across Scandinavia during the 1940s and then he expanded, both length-wise and location-wise; making two short films in India and three long features (in Sweden, India and Brazil) that combined narrative storytelling and documentary. He also made one allegorical fiction film in 1961, Pojken i trädet / The Boy in the Tree, shot in Sweden. It is Sucksdorff's combination of beauty and symbolism that makes him one of the great visual poets in film history. 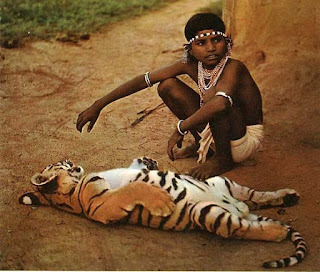 In his documentaries he was not content with just recording the natural world, instead he used and shaped it according to his ideas or needs. Much depends on trick photography and props, and his films are often so scripted and directed that it is debatable whether they are documentaries or fiction. But this should not be taken as criticism. Sucksdorff was an artist who, as he put it, was looking for the balance between poetic truth and documentary truth. (Although that is probably true for most documentaries.) As time went by his narrative imagery became self-sufficient to the extent that in some films not a single word is spoken. 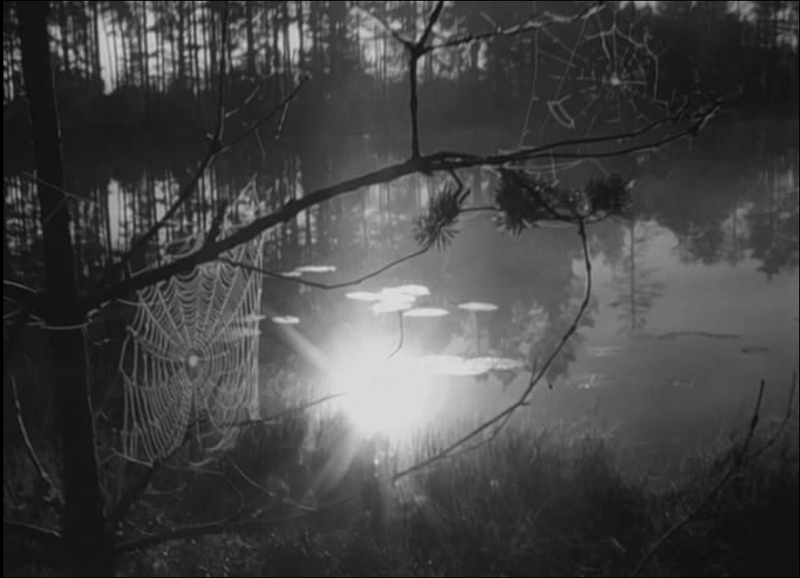 Some of his short films are shot as if they were horror movies, but more typical are his images of hazy sunlight through blades of grass, mist over water and raindrops on asphalt. The 14 short films he made in Scandinavia between 1940 and 1950 can be divided into four groups. Films made on commission for organisations or government agencies (in all five films and also his first Indian film), films made about minorities in Sweden (three films), impressionistic, light films about wildlife (four films), and expressionistic, dark films about wildlife (two films). 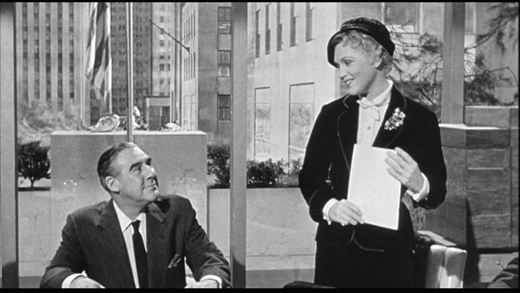 By far the best one in the first category is Människor i stad / Rhythm of a City (1947 aka Symphony of a City), a city symphony about Stockholm that won an Academy Award for best short film in 1949, the first time a Swedish film won an Oscar. The three shorts about minorities, two about the Sami people and a rather questionable one (for its latent exoticism) about Roma people, are not among his best work. 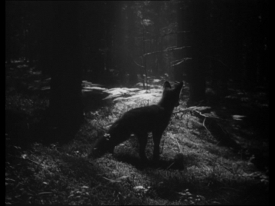 From the third category two stand out: En sommarsaga (A Summer's Tale) from 1941, about a fox, which can be seen as a precursor to his first feature-length film Det stora äventyret / The Great Adventure (1953), and Gryning (Dawn) from 1944, his first with no dialogue or voice-over, about a hunter who is unable to pull the trigger and lets the deer live. Skuggor över snön (Shadows over the snow) from 1944 is something of a hybrid, part dark tale of death and part light tale of surviving. The two dark, expressionistic shorts are Trut! / Gull! (1944), a tale of some peaceful birds terrorised by a bigger bird which some have interpreted as an allegory about the Nazis, and En kluven värld / A Divided World (1948). The last one is one of Sucksdorff's best, more a film noir, a nightmare by Fritz Lang, than a documentary. It is almost entirely staged and shot with models and fake sets, about a white stoat, a fox and an owl in a cruel tale of survival. Some of the shots are incredible in their use of depth, shadows and mist. It is close to a masterpiece. Then Sucksdorff when to India for two films. The 25-minute-long Indisk by / Indian Village (1951), which is the commissioned one, a conventional documentary about a small village and the digging of a well, and Vinden och floden / The Wind and the River (1953). It is a ten-minute-long impressionistic, wordless, depiction of Kashmir, shot with long takes with a moving camera, creating the impression of it floating down the river and quietly observing what goes on along its banks. Some, including Sucksdorff himself, thinks this is his best short. At least it shares that honour with Rhythm of a City and A Divided World. These films show Sucksdorff skills as an editor and cinematographer (he usually wrote, shot and edited his own films) and they also show his primary interest in the natural world and animals, with a pantheistic view of that nature. Even if he shows the brutality it can hold, it is still a beautiful and awe-inspiring space. The use of editing, not least the recurring shot/countershots of birds (preferably owls) watching over the world and all its animals (including humans) as if they were judging the behaviour of those they observe, is often extraordinary. All of these aspects continue in the 85-minutes-long films that would now follow. He had made most of his short films with funding from Svensk Filmindustri (SF), but now SF's boss Carl Anders Dymling for some reason was not interested anymore so Sucksdorff turned to Sandrews instead, and they helped fund his first two features The Great Adventure and En djungelsaga / The Flute and the Arrow (1957). 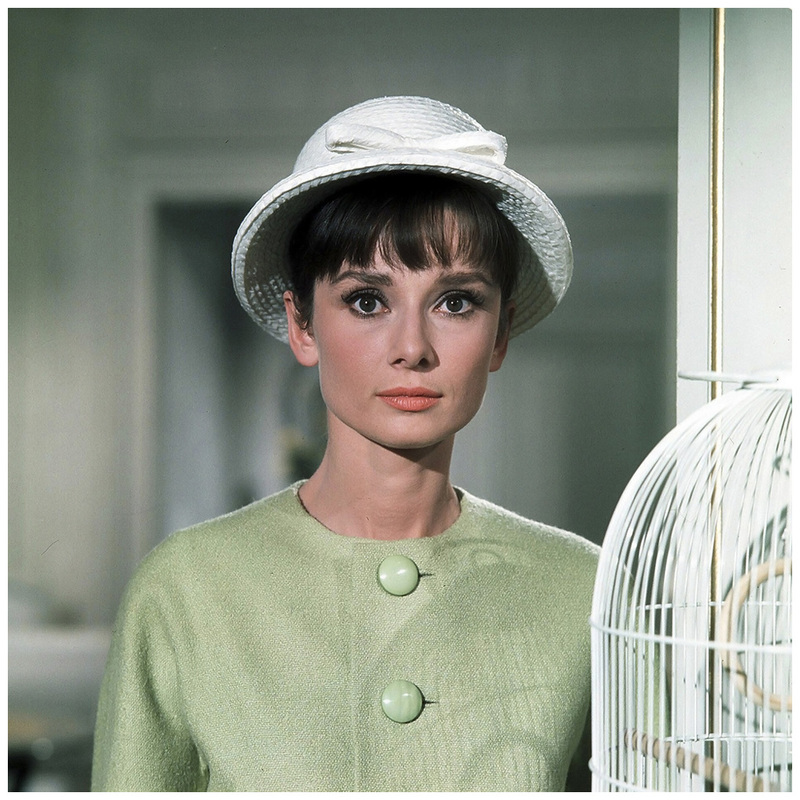 The first was shot in Sweden and the second in India, but they are somewhat similar. The great adventure the title refers to is life itself, and it shows a year in the life of a fox, an otter and two young brothers. Initially there is a whole fox family but all but one are killed (there is a POV-shot of the last 30 seconds or so of a dying fox), and there are two otters to begin with but one is also killed. The brothers thus come face to face with both the cruelty of life, and the cruelty of humans. One strong scene is with the baby fox screaming beside its dead mother, killed by a human, and trying to wake her up before he gives up. In another sequence Sucksdorff cuts back and forth between humans in a church during Sunday mass and the two otters playing in a river in which a human has laid a trap, which kills one of the otters. (It is not shown, only alluded to.) Since the audience knows the trap is there the sequence is rather suspenseful, like some eco-thriller. While the humans are singing a hymn the animals are in mortal danger because of those very humans. Erik Barnouw has suggested that Sucksdorff makes a distinction between the killings by humans and the killings by other animals: "Both men and animals kill, but animals do so for survival. Only men kill for other reasons and camouflage their reasons, always regarding themselves as instruments of morality and justice." But it is not a simple dichotomy between good animals and bad humans. The one surviving otter becomes best friend with the two brothers, and they spend half of the film together. The surviving fox also comes and play with the otter. And there is also another dark force in the landscape, beside the human hunters. A lynx. The lynx is like an evil spirit, a disturbance in the force, and a threat to everyone else. But in the end it walks away, leaving the area, and harmony is restored. The Flute and the Arrow is also focused on children, and their interactions with animals, and around the Indian village there too is a dark force, but here it is not a lynx but a leopard. They have a similar function in the two films, but the leopard plays a larger role than the lynx, and is deadlier. The Flute and the Arrow, which took three years to make, is set (and shot) in the region Bastar in central India and is about life in a Muria village. Their lives and rituals, and the coming of age of the boy in the picture below, Chendru. 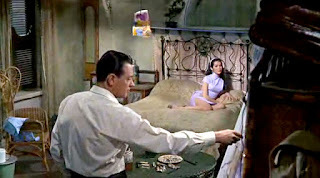 It was Sucksdorff's only film in colour and it is shot in AgaScope, a Swedish version of CinemaScope. It looks spectacular, and has a fine score by Ravi Shankar. It has a stronger, more focused narrative than The Great Adventure and is more about the humans than the animals. It also pushes the boundaries for how far a documentary might go towards pre-planned staging until it stops being a documentary. Whereas the first half is more traditionally like an anthropological documentary it then takes a turn towards fiction, albeit inspired by real events. The Great Adventure had been a major success, both financially and with the critics, but The Flute and the Arrow was only a hit with the critics. It was also very expensive. 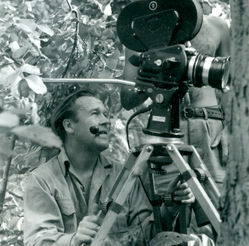 Sucksdorff's next film would be his only work of pure fiction, The Boy in the Tree, which is about a teenage boy who prefers the animal world to the human world but gets mixed up with some juvenile delinquents during a few days one summer. 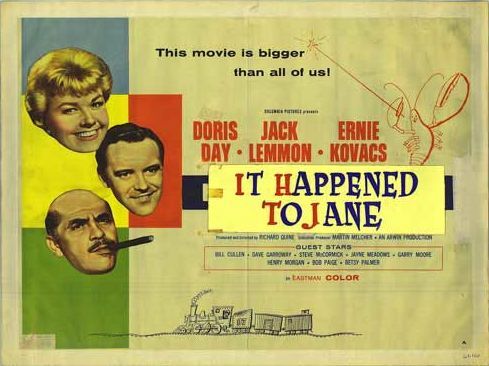 It does not stray very far from Sucksdorff's other films, besides the fact that it has regular actors and stars and a jazz score especially written for the film by Quincy Jones. But the film did not do particular well and Sucksdorff would never again make a film in Sweden. Instead he moved to Sardinia, and then to Brazil, where he remained for some 20 years. In Brazil he taught at a film school connected with Rio de Janeiro's Museum of Modern Art, and this is where his connection with Cinema Novo appears because some filmmakers associated with that group had Sucksdorff as their teacher. Among them was Antonio Carlos da Fontoura, Joaquim Pedro de Andrade and Eduardo Escorel. The latter became a distinguished editor during the 1960s and in the 1970s began directing as well. (Nelson Pereira dos Santos's film Vidas Secas (1963) was edited on Sucksdorff's equipment.) Sucksdorff also made a documentary in Rio de Janeiro, his fourth feature-length film Mitt hem är Copacabana / My Home Is Copacabana (1965). It is a very moving, and uncomfortable, film about orphans living on the streets. The focus is on two of them, Jorginho and Rico, and their efforts to find food, earn some money and just stay alive. The most horrid sequence in the film is when Rico has a bad toothache. First he welcomes the ache. "It makes me forget how hungry I am." he says. But then the pain becomes so unbearable that a friend pulls out the tooth with pliers borrowed from a construction worker, while Rico screams and screams. 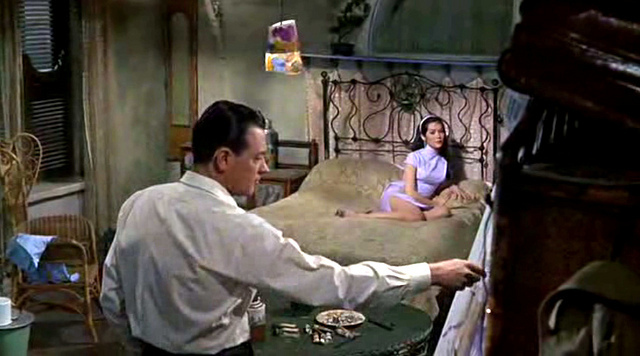 The film, which might be Sucksdorff's best, did cause some upset since it did not portray Brazil or Rio in a flattering light. But it did get made and was shown around the world. It won several awards, although it got a mixed reception at the Cannes film festival. Sucksdorff had won in Cannes before though. Skuggor över snön won for best documentary short in 1946, as did Rhythm of a City in 1947. 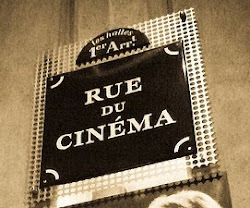 An Indian Village won the Prix special de jury in 1952 and The Great Adventure won Cannes's International prize in 1954, as well as an honorary diploma. It also won the Silver Award in Berlin. He has also won several awards at the Venice film festival and other places. For a period of some 20 years he was one of the most celebrated of documentary filmmakers, comparable to Robert Flaherty. But still, after My Home is Copacabana he never made a film again. His style and some themes instead lived on in the films of Jan Troell and Stefan Jarl. Sucksdorff instead got involved in local environmental issues, especially the struggle to save the Amazon rain forests, and he made a four-part television series for Swedish television which aired in 1972. (It seems most Swedes watched it.) For his environmental activism he was awarded a medal by the Brazilian government after the fall of the military dictatorship in the mid-1980s. During the previous years Sucksdorff had not only fought for the protection of the Brazilian wildlife, he also lived in it for several years, in the wetland Pantanal in Mato Grosso. That is also where he made the TV-series, På jordens baksida (On the far side of the world). It is not particularly good or educational, but it does have a certain appeal. The first two parts are mainly about him and his third wife, the Brazilian Maria Graça de Jesus, and their day-to-day life in the wild. The appeal of the episodes comes from the joy that stems from the fact that Sucksdorff has so clearly found his own paradise, living and working among the animals, and interacting with them as if they were all one big, happy family. To see him and his wife swim around with an otter (apparently a favourite animal for the Sucksdorff family) or a tapir, or feeding a baby jaguar whose mother was killed by a hunter, is immensely moving and satisfying, as it is a depiction of a man who has found his dream fulfilled. It was in his review of La Terra Trema that Bazin mentioned Sucksdorff. It had "a profoundly original style of image, unequaled anywhere (as far as I know) but in the short films which are being made in Sweden by Arne Sucksdorff." The review is reprinted both in What is Cinema 2 and André Bazin and Italian Neorealism. The quote from Barnouw is from the 1993 edition of his book Documentary: A History of the Non-Fiction Film, page 189. Barnouw thinks The Great Adventure is a masterpiece, and is in general appreciative of Sucksdorff's films. Sucksdorff was also involved in one additional film, a British from 1971 called Mr. Forbush and the Penguins (aka Cry of the Penguins). It seems Sucksdorff was only responsible for the penguins. Alfred Viola and Roy Boulting took care of Mr Forbush. John Hurt played him and Hurt claimed the penguins were "a real pain in the arse." While Sucksdorff spent decades in Brazil, he did return to Sweden late in life and he died in Stockholm in 2001. But the longest Wikipedia entrance for him is the one in Portuguese. Contemporaneous with Sucksdorff was another Swedish filmmaker with a particular interest in Brazil: Torgny Anderberg. He might appear in a later post. In Senses of Cinema recently there were several interesting interviews with distinguished film scholars from around the world and one of them was Dana Polan. Towards the end he spoke about the special relevance of teaching Howard Hawks in the age of Trump. This got me thinking about one of the most convoluted aspects of artistic appreciation: to what extent an artist's political beliefs, or private thoughts and behaviour in general, influence our response to their work, and how much it should influence us, if at all. That is a loaded question. When a fellow film blogger and critic wondered on Twitter whether Jean-Luc Godard had ever shown any remorse for his support of Mao Zedong, quite a few people got upset and wondered why the question was even asked, and there were musings about alleged political correctness running amok (incidentally one of the most clichéd and tired reactions in contemporary culture). But it was a perfectly legitimate question and there was no judgement of Godard's films stated or implied, yet people got anxious. One might get the sense that some prefer not to think about such matters, as if acknowledging, say, Godard's Maoism, would contaminate them. There are those who demand purity on the part of the artist, and then there are those who believe that whatever an artist does in her own time is her own business and should not be considered at all when discussing the artwork. But I do not think anybody really hold firm to either approach. There are just too many variables involved. Imagine for example that you have always loved the books or the films of a given person, and then you learn that this person was racist in some form, even though there is no trace of this in the artworks. It seems pretty drastic to completely throw away that body of work which you have enjoyed and which have been such an important part of your life. Yet with some people it sounds as if they would never engage with an artwork before thoroughly vetting the artist. There is something unsettling with these kinds of purity demands, and it almost inevitably leads to defeat because few people are beyond reproach. It is just a question of where you yourself draw the line. And, the further back in history you go the more likely it is that writers and artists will have beliefs that are unpalatable for most people today. This also means that people in the future will find us to have pretty unpalatable beliefs, however conventional they may seem now. At the same time though there comes a point when a person is found out to be so utterly horrible that it becomes impossible to ignore that part, usually when it comes to actions and deeds, rather than just beliefs. Take for example V.S. Naipaul, the 2001 winner of the Nobel Prize in literature, whose brutal behaviour towards people around him, not least his wife, was shockingly revealed some years ago. It is almost impossible to shrug off when reading something he has written. Likewise, many people are understandably concerned about the allegations against Woody Allen, even though they are as yet unsubstantiated. There is also a different, although somewhat rarer attitude, exemplified with Leni Riefenstahl. She is often said to be a really great filmmaker, maybe one of the best, not least by people who are also clear about her making Nazi films. But she is not really that good, and it often feels like people get a kick out of saying "Yes, she made Nazi propaganda but she was still a great artist." as if revelling in their own broad-mindedness. With Riefenstahl it is also the case that her politics are obvious in the films she made. This is also true for Russian cinema of the 1920s (like Dziga Vertov, Vsevolod Pudovkin and Sergei Eisenstein) where most films were more or less propaganda for the Stalin regime. There is a double standard here because the politics and the mass killings during Stalin's reign were as awful and indefensible as those of Hitler, yet Stalinist propaganda is not treated the same way, and can often be found, and celebrated, without the kind of critical contextualisation that usually follows Riefenstahl's films, or Griffith's The Birth of a Nation (1915). Such contextualisation is always useful. Consider the 1930s, when antisemitism was widespread and depressingly common, and across the political spectrum from the far left through the middle to the far right. It is highly likely that some, perhaps even a majority, of the filmmakers we know from that time also were antisemitic, in the mainstream fashion of the day, in Sweden, France, the U.S. and elsewhere as well. Jean Renoir is sometimes mentioned for example, and Preston Sturges and Hawks too. (Whether they actually were antisemitic, even by the standards of the time, remains unclear, and books about them still grapple with it.) If the antisemitism is visible in the films it should be a concern but if it is not, and if it is not even clear as to whether the people behind it were guilty of it, then we should be able to enjoy and appreciate the films in their own rights. I've tried to avoid this in the Hawks course because I don't want to make it just about relevance, but there are many things in Hawks. For instance, his fascination for masculinity. He has a libertarian side. His biographers guessed that he was probably Republican, he was certainly anti-New Deal. I don't want to make out as if he leads up to Trump. You don't want to falsely make things relevant. But you want to make the connections. America has a history which is now a shameful history, and it's going to be worth unpacking how we got there. And movies are part of how we got there. There are a lot of confusing statements here. Many filmmakers can be said to have a "fascination for masculinity", but what does it actually mean and what has it got to do with Trump? In Hawks's films there are frequent gags to undermine that masculinity, which is not something you would associate with Trump. What does it mean to have a libertarian side? To the extent that libertarianism is about personal freedom I certainly have a libertarian side, but that puts me in opposition to Trump who is in favour of corporate freedom, not personal freedom, nor does it mean I would support the Libertarian Party. (Which, by the way, is not associated with Trump. Their presidential candidate of 2016 was the hapless Gary Johnson.) It is quite possible that Hawks was a Republican (although he seems to have been apolitical and did perhaps not even vote) but so was Eisenhower and Lincoln, so should they also be taught as a way of explaining how the U.S. ended up with Trump? Is there in fact anything, at all, in Hawks's films that could be meaningful for "unpacking how we got there"? 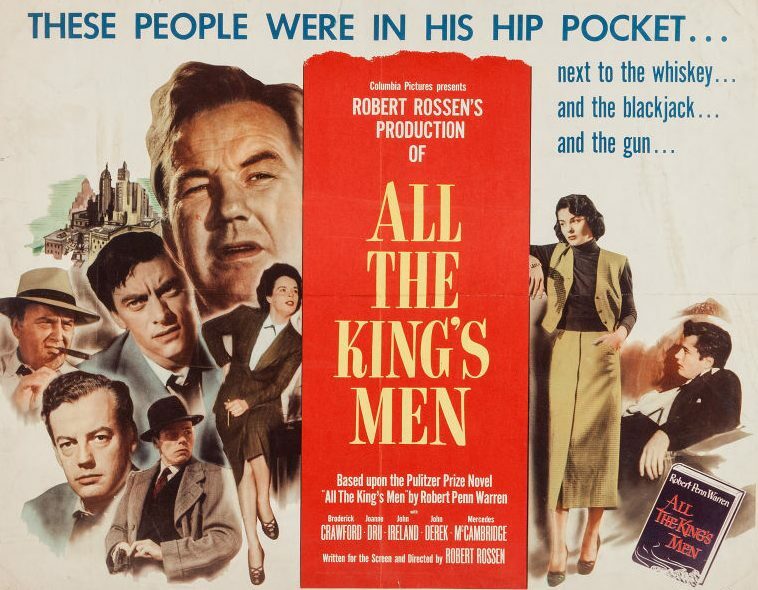 Something like Robert Rossen's fine adaptation of All the King's Men (1949) does a good job of showing that there is a long tradition, which has always been shameful, of dangerous demagogues in American politics, and there are many other films that are useful for exemplifying that. My major point though is that there is a strong element of guesswork and irrelevant focus on Hawks's personal political beliefs, so you would be teaching that, not the films. And then you might just as well teach anybody. I am much less lenient when it comes to philosophers who support dictators and brutal regimes or devious causes. Whether it is Heidegger and the Nazis or the long line of French and American philosophers celebrating Stalin and Mao and others, it seems to me to be impossible to disentangle that from their general thinking. Alain Badiou's philosophy does feel like an elaborate effort to mathematically prove that the Chinese Cultural Revolution, organised by Mao, in which over a million innocent Chinese were randomly killed was the greatest thing (or event) in human history. 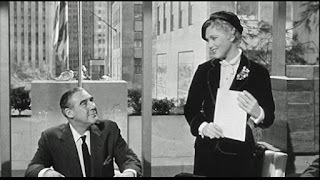 Todd McCarthy addresses the issue of Hawks and antisemitism in Howard Hawks: The Grey Fox of Hollywood, in connection with Lauren Bacall, who was Jewish and Hawks's protégé. The evidence is inconclusive. Renoir seems to have been against antisemitism, so the opposite of his father, although sometimes a stereotype slips by. As an example of writing on it, Maureen Turim looks at Renoir and antisemitism in her chapter in A Companion to Jean Renoir. 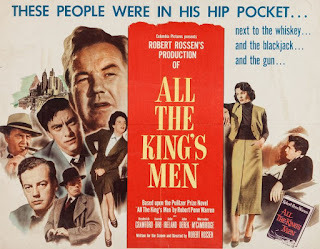 It seems that Budd Schulberg accused Preston Sturges of being antisemitic, which is interesting as it was also a similar accusation by Schulberg that was behind that recent, disgraceful book The Collaboration - Hollywood's Pact with Hitler. Even the title is disgraceful since there was no collaboration and no pact. But that is another story. And in print only: Film Comment's May/June issue of 2016 where Glenn Kenny wrote about Strangers When We Meet (1960).